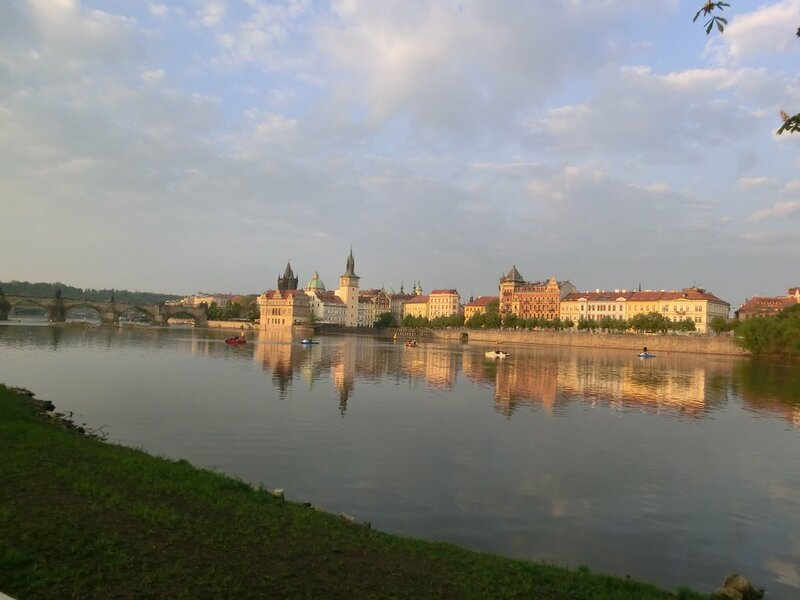 Today I visited the city after work (tomorrow I will hopefully write something about work) and went to a nice open air event celebrating 10 years of Czech Republic in the EU! Lots of cool bands were playing. It was happening on this island in the middle of the Vltava (Moldau) river called Střelecký ostrov. The event was called 10 let and luckily there is more program coming up tomorrow. By chance I even met Edita there, which made me feel even more at home. There was a very good band playing called Tata Bojs. They have an amazing sound on stage. The drummer is also the lead singer. They are miscellaneous with very hard passages on the one hand and almost electronic pop parts on the other. Looking forward to more CZ. Before work I had lunch with Stepan, my flatmate, at the Senat of Czech Republic. They are located in the Wallenstein Palace, a beautiful building in Mala Strana. Facebook, Twitter, Instagram, Blog, Xing, Pinterest.